Spread the NEWS!!! 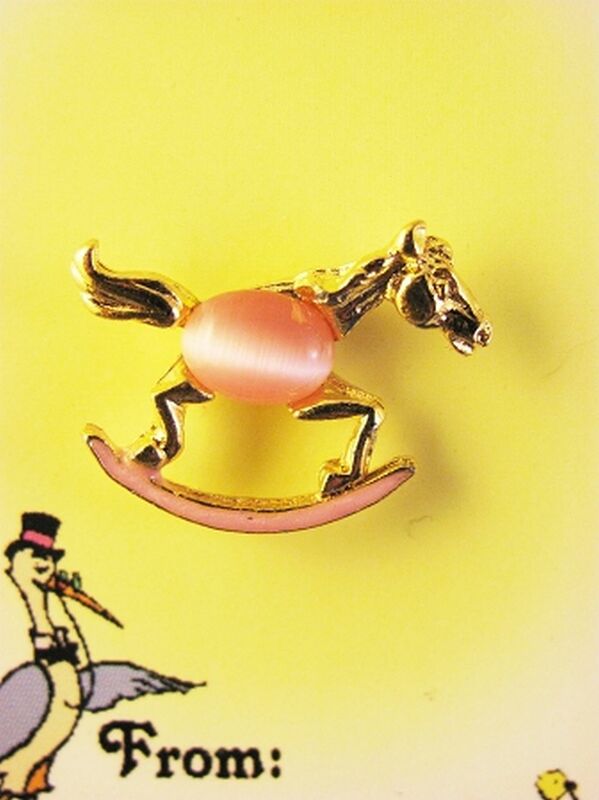 Indulge yourself or a loved one into this absolutely beautiful Baby Girl Pink Rocking Horse Pin, gorgeously-crafted with Glass on Gold finish metal base. 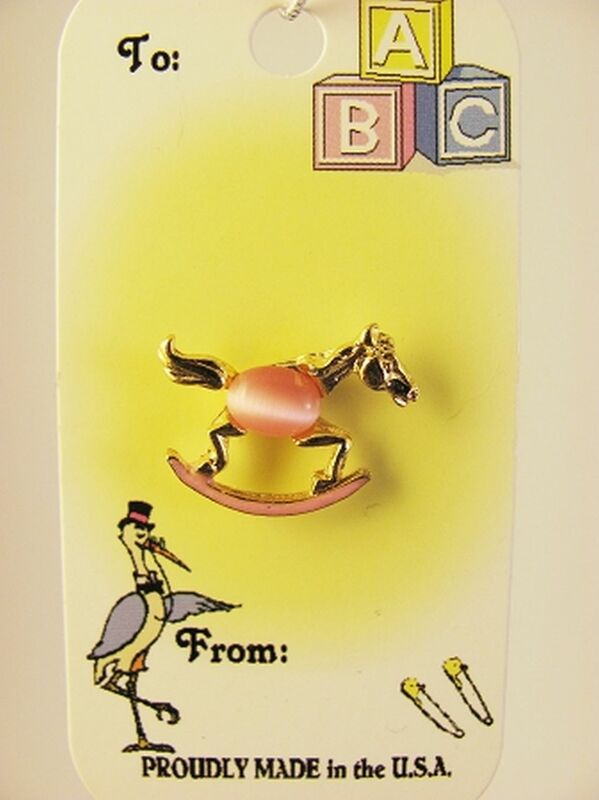 The Pin is approximately 1/2" tall. 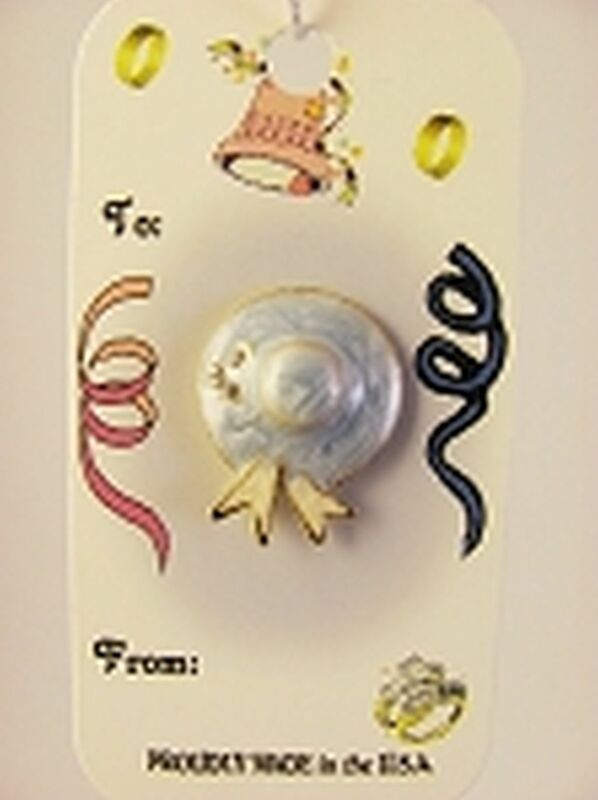 A message on the back of the card board reads "Some gifts come all wrapped up in very special packages..." Proudly Made in USA.